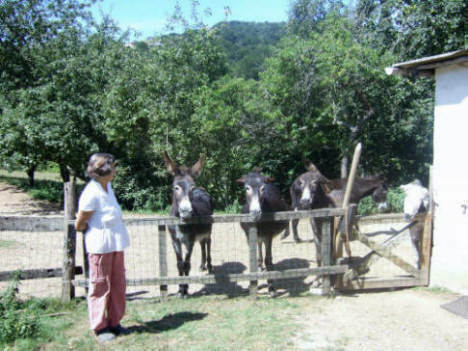 We propose that you come along for a relaxing visit, to meet the donkeys and other animals, to learn a little about donkeys and donkey care in a peaceful environment. Refreshments will be available. There are activities for children and, if you do bring a dog with you, please keep your dog on a leash. Click here to see some pictures of an open day in our blog. We hope you enjoy your visit and will come back soon.